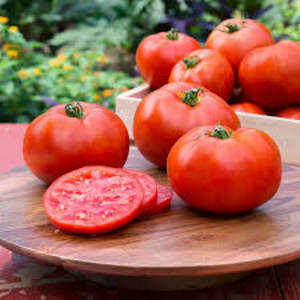 Are Tomatoes & Whole Wheat Actually BAD For You? That said, there is a book called 'The Plant Paradox', by Dr. Steven Gundry, that is already spinning the nutrition world on its head yet again. To once again paraphrase a very complex topic, the reasoning is that these foods destroy the healthy gut bacteria that keeps your body functioning optimally while giving birth to bad gut bacteria (lectins) that destroy your gut lining and then spread throughout the body. In all honesty, I do not know what to think of this. It seems to fly in the face of so much we supposedly knew about healthy eating. On the other hand, I've given Dr. Gundry's diet ideas a try recently and the effects were quite noticeable within 48 hours. Gone were the typical winter fatigue, stuffy nose, and a pretty serious reduction in nagging shoulder pain. And the idea of reducing inflammation, as we mentioned in this blog just last week, is key to improving your health. Of course, this is just one person's experience over a few short days. What I'd love to hear is whether you have read The Plant Paradox, or heard of the Gundry Diet. And if so, what are your experiences and opinions? If you're willing to share your thoughts, please do so in the comment section below.